Project Run & Play season six is in full swing! I’m excited because this season they have decided to make the sew along at home competition a Linky Party (found at the link above) instead of just the flickr group. 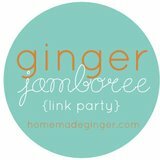 With the Linky it’ll be easier to see everyone’s entries and get to their blog posts with one click. This (first) week we were supposed to remix The Cottage Home’s Party Dress. I think this dress is adorable and would make one as is if it were warmer weather around here right now. Alas, I knew I’d want to make one with long sleeves. Since I have an obsession with the comfort of knit fabrics lately, that’s where I ended up for inspiration. I changed the top quite a bit, but used the original pattern for the bodice at its base. Instead of sewing the bodice and lining together as suggested, I sewed the shoulder seams together for each of the two bodices (exterior and lining). Then I sewed the bodices together at the sides and along the entire neck. I didn’t worry about the button loops since I had already decided I’d sew in button holes (you can see above that I used a bit of interfacing to make it sturdy at the button placket). I trimmed the seams and snipped the curves and turned the whole thing right side out. 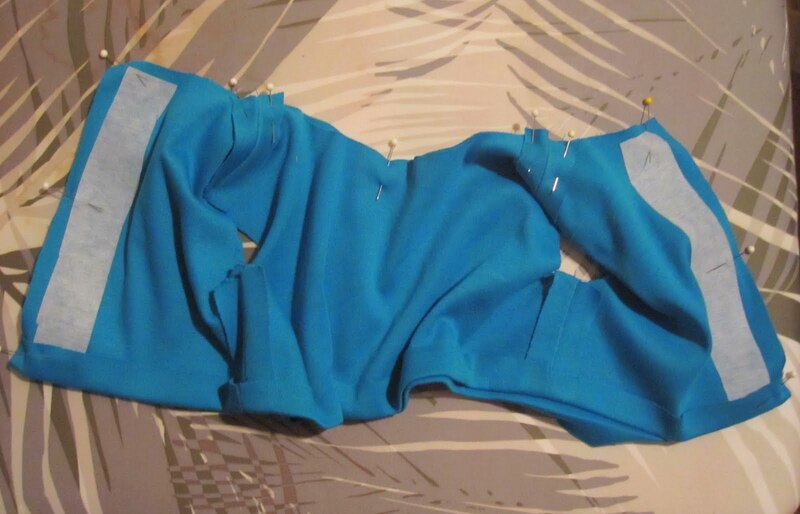 Keep in mind that there are two arm holes and the bottom edge that are unsewn at this point. I sewed two long sleeves and inserted them into the arm holes making sure that the exterior and lining bodices were held together as one piece, then sewed exterior holes facing the right side of the sleeves. Once I had pressed with my iron, I then top stitched along the outside edge of the bodice. I agree with The Cottage Home’s tutorial that a top stitch gives a more professional look. Instead of the button loops I made button holes for a more stable button placket. I was mostly worried the knit would sag with just the loops. I do also like how simple the placket looks with the small buttons running down the back. I shortened the skirt length as this will mostly be worn as a tunic with leggings since we don’t have any real parties to attend in the near future, hehe. However, I kept the skirt band and tie the same size which gives them an oversized look that’s fun. Speaking of fun, it really is impossible to get pictures of Bean these days. She can hardly sit still. The lighting was terrible too, but mostly these are blurry cause she was moving, hehe. Standing in front of the mirror is one of the only ways to get her to be still. Of course, ten seconds later she was pulling the skirt portion up over her head to see how funny it would look in the mirror. The following pics are of Bean being very silly. 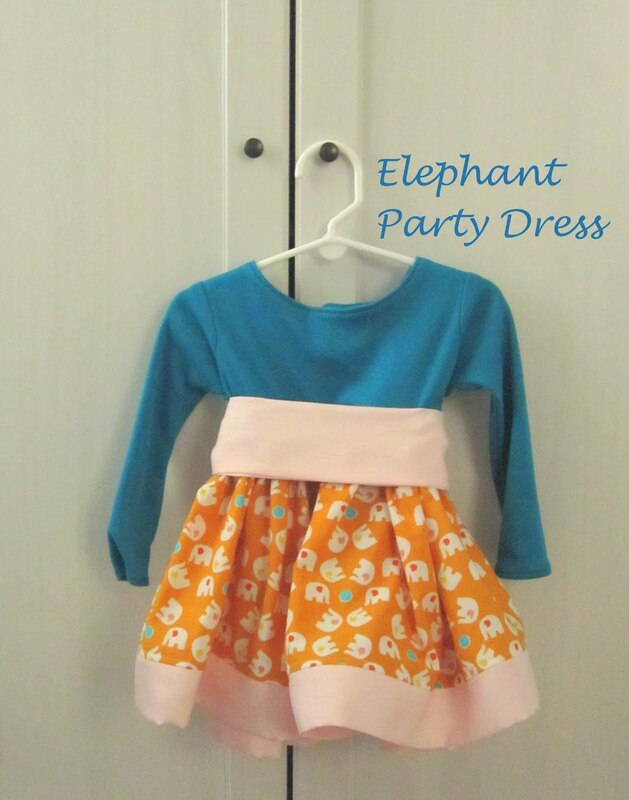 Thanks to The Cottage Home for the inspiration for this Elephant Party Dress! That turned out very cute! That shorter length will be better for her to walk in. I love the skirt. I want a lot of skirts like that but then I remember I would look like a Macy's balloon. That should say a Macy's parade balloon. They don't normally sell balloons at Macy's. Don't get excited. I want to sew more knits, but I have a hard time finding quality knits. I love the knit fabric that Gymboree uses in their clothing line. Where do you find your knit fabric? Deborah, I get my knits either from old clothes I don't use anymore (try thrifting) usually. I've also had good luck with knits from the fabric fairy online shop. Good luck! I love the knit top! It fits perfectly, and the color combination is great. Thanks Michelle! I also made her a Go To Shift Dress with that knit and it turned out lovely in that color. Oh, this is super super cute. I love the turquoise and orange (big fan of colors here!). Great job! awww – love those little elephants, and that you did a knit for the bodice… it really makes that top fit perfectly! Cute! love the color combo. Oh, this little combo is adorable. I love the wide sash on it, and the cozy knit paired with a woven.